Patrick Scott bought some laptops for his kids, but they were so slow the kids stopped using them. This is a common issue with bloatware-laden consumer laptops, sadly. He performed a “factory reset,” with the hopes of reinstalling the OS without all the crap that was preinstalled. To his horror he discovered the factory reset reinstalled all the bloatware, leaving him back where he started. Luckily for Patrick, there’s a way to get a clean installation of Windows 10, without all the apps that came with your PC. Here’s how it works. Windows 10 has what we used to call a “repair install” built-in, also known as an in-place installation. 2. Either way, you end up in the Recovery section of Settings. 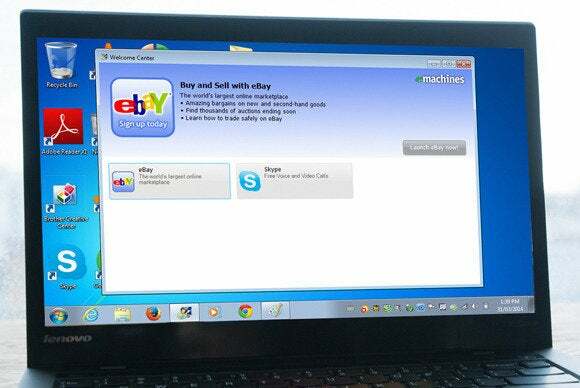 Under More recovery options you’ll see a long hyperlink that reads, “Learn how to start fresh with a clean installation of Windows.” Click that and this webpage will open. 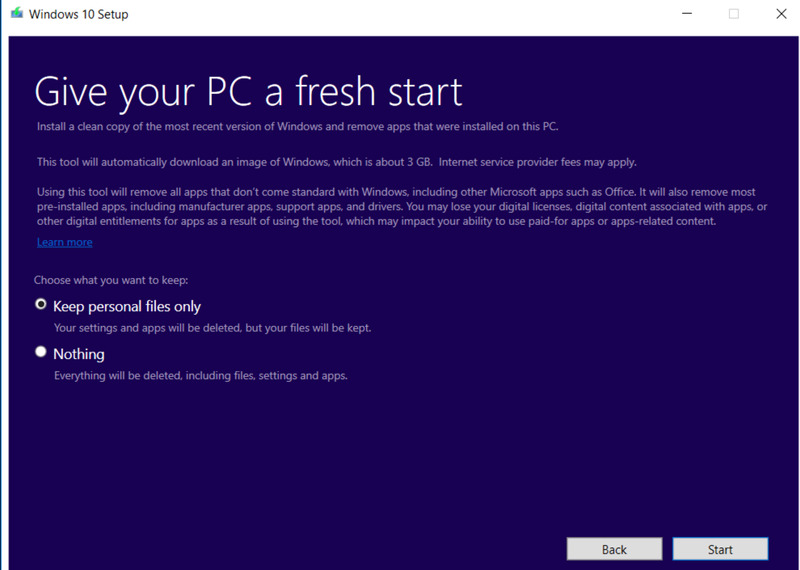 Here is Windows 10 “fresh start” reset tool - it’s free and works beautifully. Let’s be completely clear here, as Microsoft is in the further explanation above: “Using this tool will remove all apps that don’t come standard with Windows, including other Microsoft apps such as Office. It will also remove most pre-installed apps, including manufacturer apps, support apps, and drivers.” Don’t use this tool unless you’re ready to let go of everything. 4. Run the tool, and get some coffee or go for a walk. When it completes you’ll have a fresh installation of Windows 10, sans bloatware (or anything else).